The European Commission (EC) issued an annual report this week that indicates there were no reported cases of misuse of nuclear materials in the European Union (EU) during 2014. 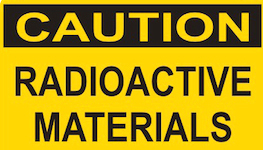 The report said nuclear-safeguard rules require that any country in the EU that uses nuclear materials for fission-related purposes must keep documentation to account for all nuclear materials, and countries are required to submit declarations of held material to the commission. The 2014 report said the amount of nuclear material in circulation increased over the course of the year due to nuclear power and spent-fuel processes. The commission said 1,234 installation inspections were carried out across the EU and that the International Atomic Energy Agency carried out 643 of these with the EC jointly. The Euratom Treaty of 1957 established the Euratom Safeguards standards as a precautionary measure to ensure that radioactive plutonium and uranium were not being utilized for nuclear weapons. The EC said in the report that positive results were recorded for most installations that had been evaluated in 2014, and that four facilities were required to take corrective actions to meet Euratom Safeguards standards.